Inn Town Motel in Spooner, Wisconsin. It can easily be said that the Inn Town is the most convenient lodging to be found in this place fondly called Up North. Located in the center of Northwest Wisconsin, Washburn County boasts fantastic panfish, northern, musky and walleye fishing along with hunting, biking, hiking and water sports. Visit us in the winter for snowmobiling and ice fishing, along with events such as the huge American Birkebeiner ski race minutes away in Hayward. 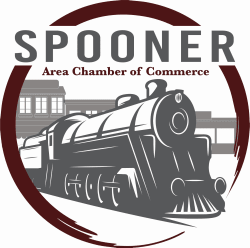 Summer brings the world famous Spooner Rodeo, the Great Northern Train ride, tubing the Namekagon River. Golf one or all of our many courses, or visit the world's largest fish hatchery, all within minutes of the Inn Town! Single and double rooms, Refrigerator & Microwave in every room, Parking at your door, Large parking lot, Ice & Soda Machine, Coffee pots in all the rooms, Free wireless internet & much more. 6 blocks north of hwy 70 on hwy 63.